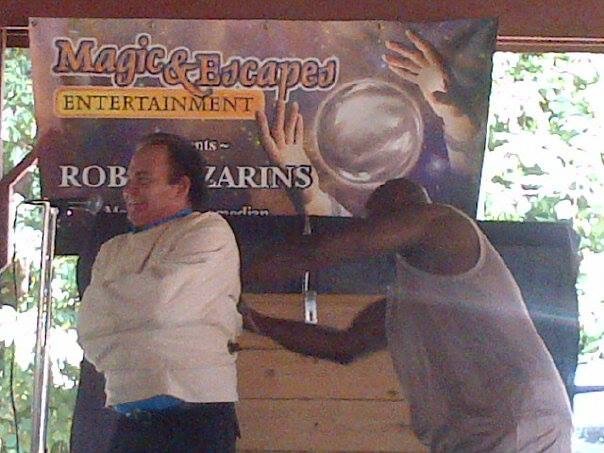 Magic and Escapes Entertainment, founded in 1992 by Magician, Comedian, and Escape Artist, Robert Zarins, provides great entertainment for everyone. Shows are available for many occasions and held at various venues; including convention centers, nightclubs, even your backyard. This show intertwines the sound of laughter, the illusion of magic, and the undeniably impossible task of escape and will leave the crowd smiling, amazed and even shocked by the talented Robert Zarins.